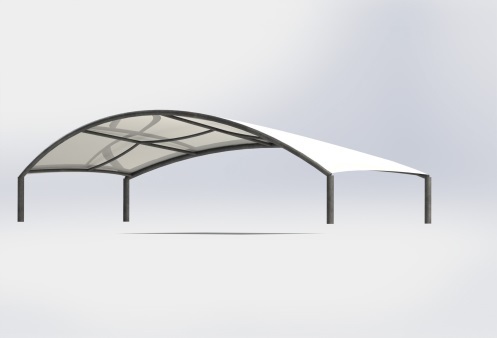 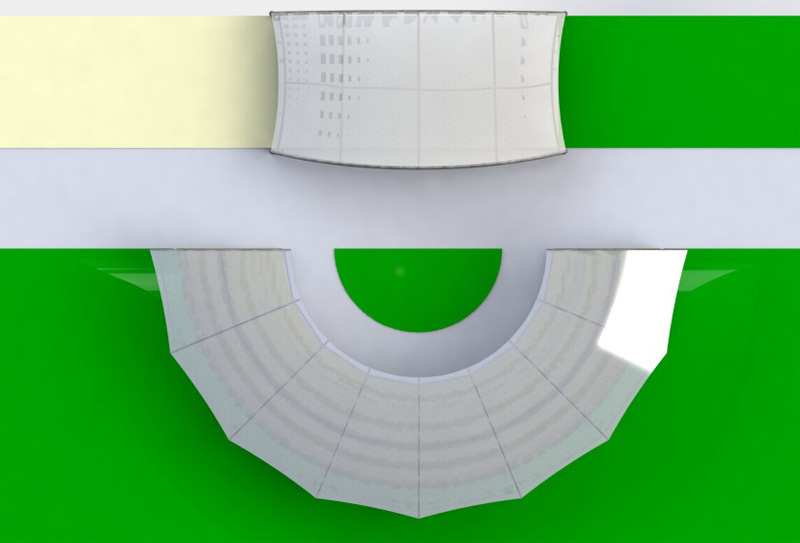 Amphitheatre Structures are larger structures which can be made from shade fabric or PVC waterproof fabric. 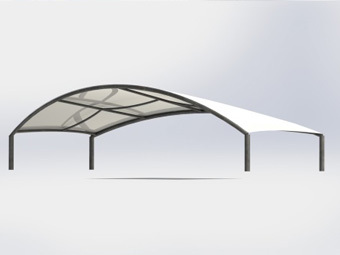 They are ideal for larger “classroom” areas in schools or for larger public spaces. 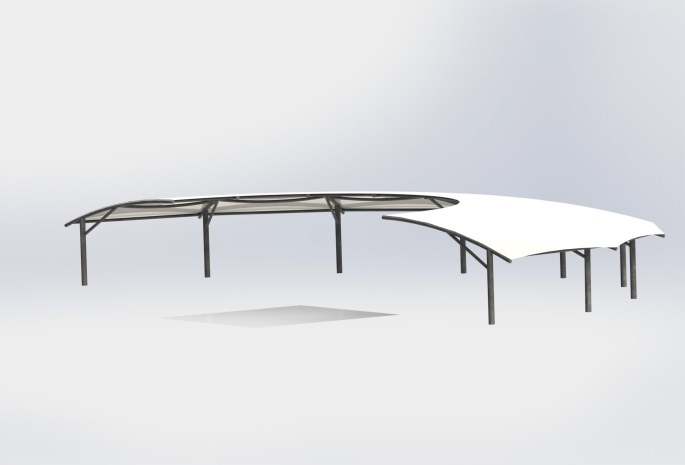 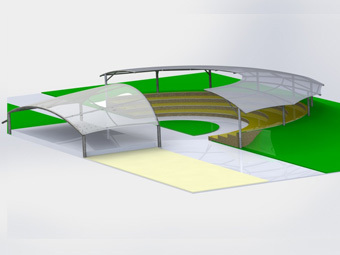 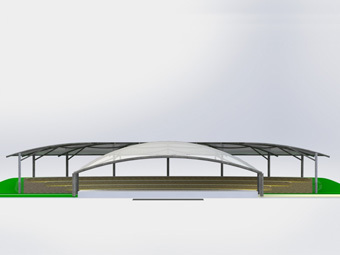 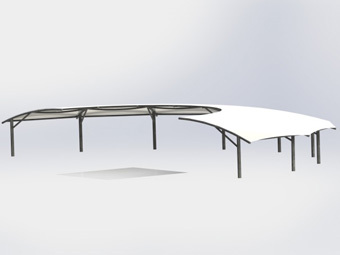 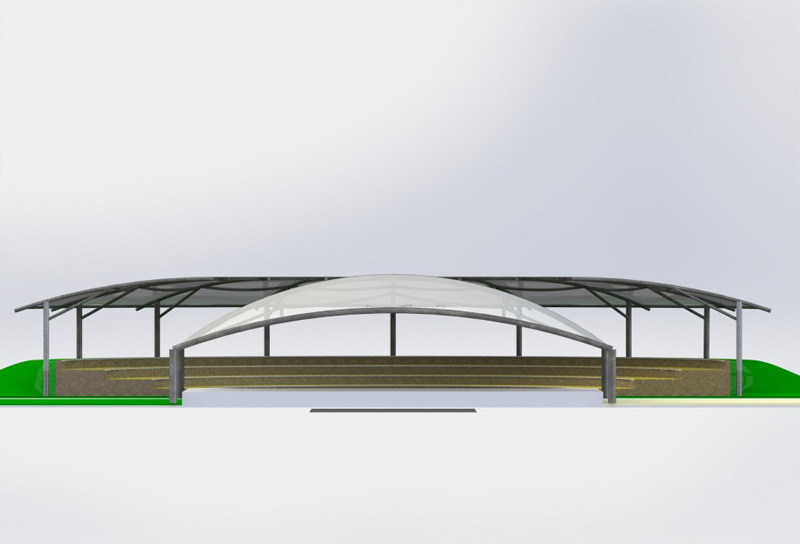 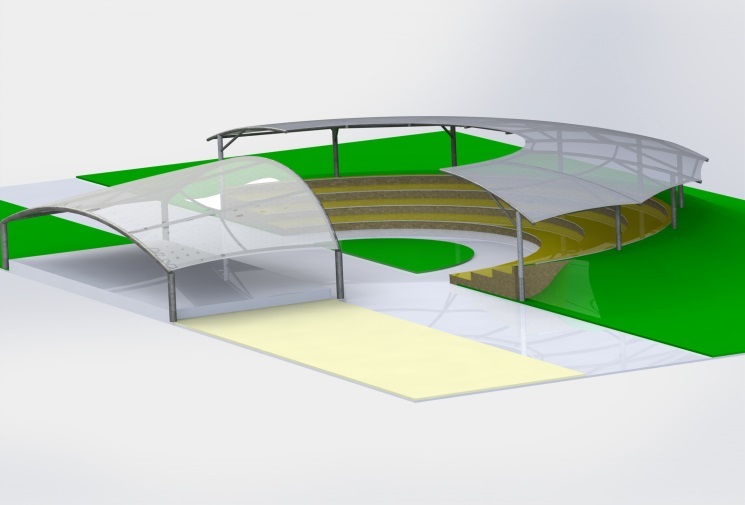 Last Month we were invited to tender for a project within the Goldfields Shire Council to design and construct shade over an Amphitheatre stage and seating area for the Station Domain Area. 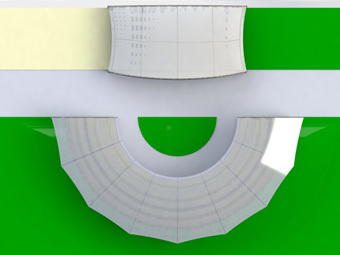 These are our conceptual design drawings.